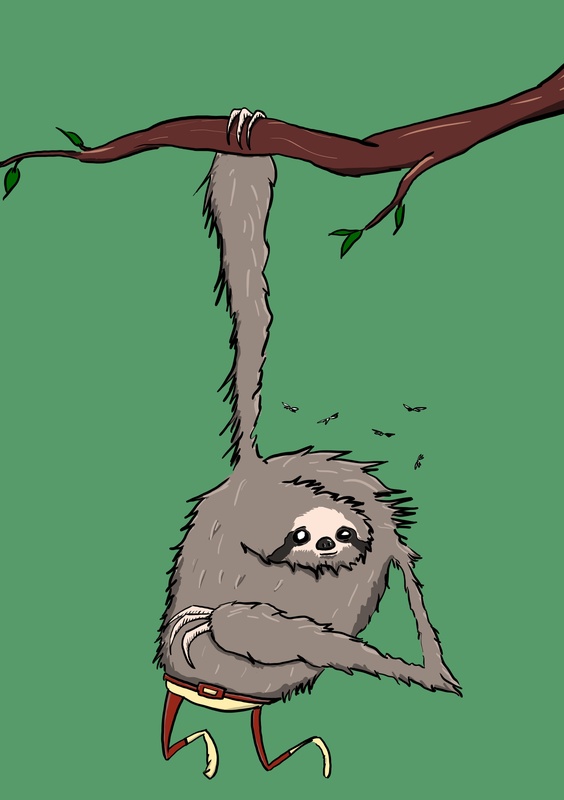 As with DC’s New 52 and Marvel Now, The Mighty Sloth is getting a much needed reboot. Watch him swing drowsily into inaction in this brand new comic series. This entry was posted in Uncategorized and tagged Costa Rica, cute, DC, Jungle, Marvel, Marvel Now, Moth, New 52, Sloth, Superhero, tree. Bookmark the permalink.